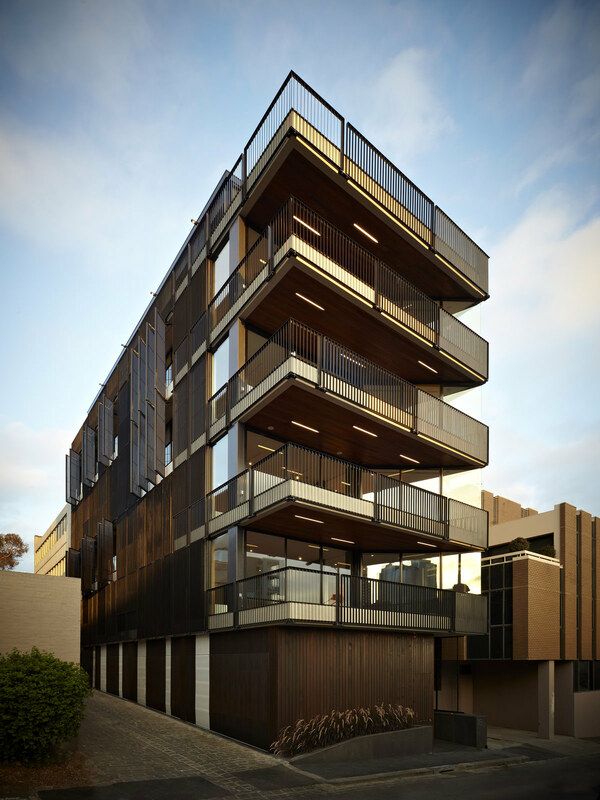 The Agnes Street Apartments is a six storey residential building within a significant heritage precinct on the fringe of central Melbourne. 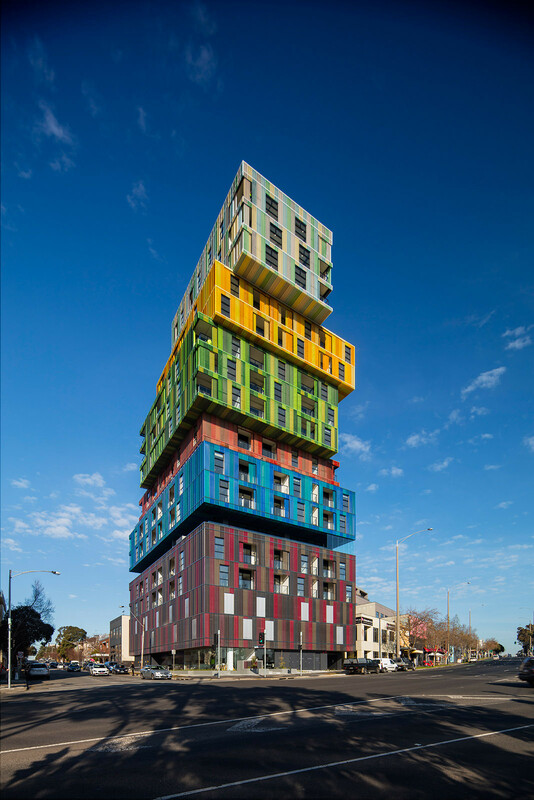 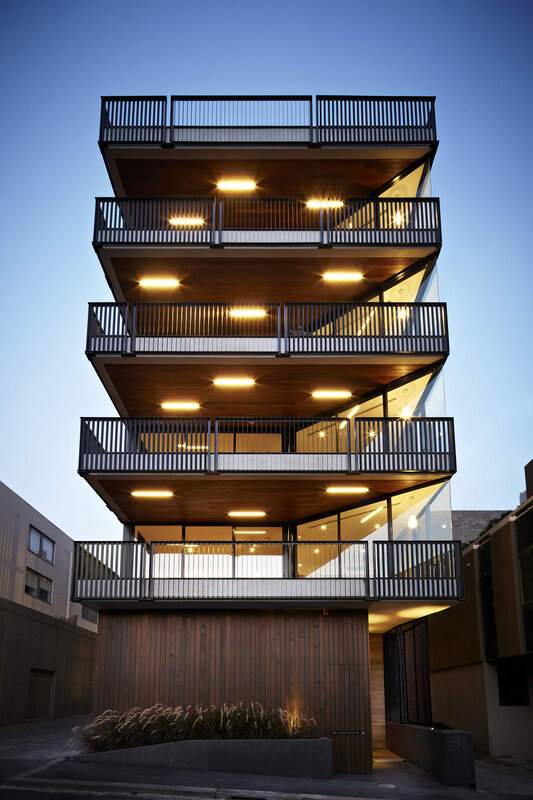 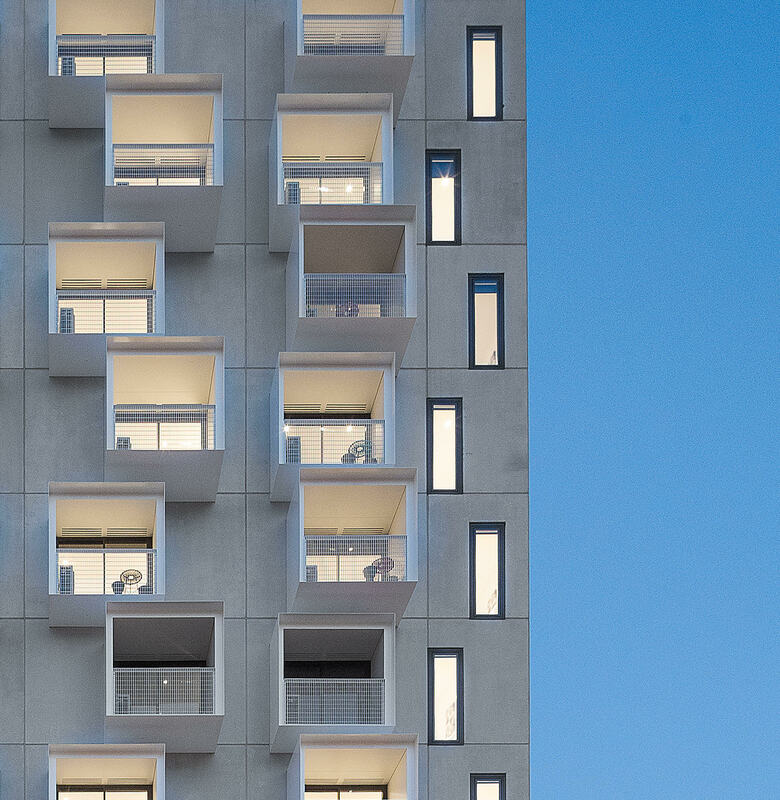 While many apartments are designed to maximise yields on minimum land space, this project tested a new model of generously sized vertical stacked ‘houses’. 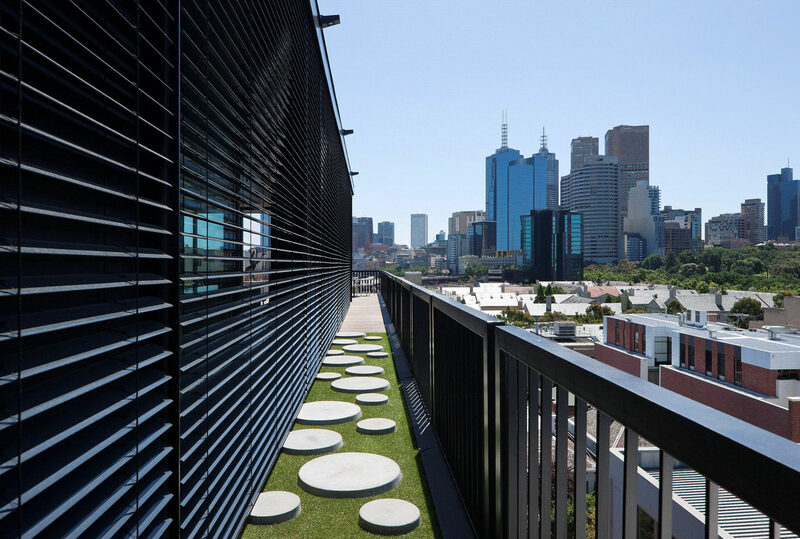 The building accommodates three full floor single storey apartments on levels one to three, plus a two storey penthouse apartment on levels four and five. 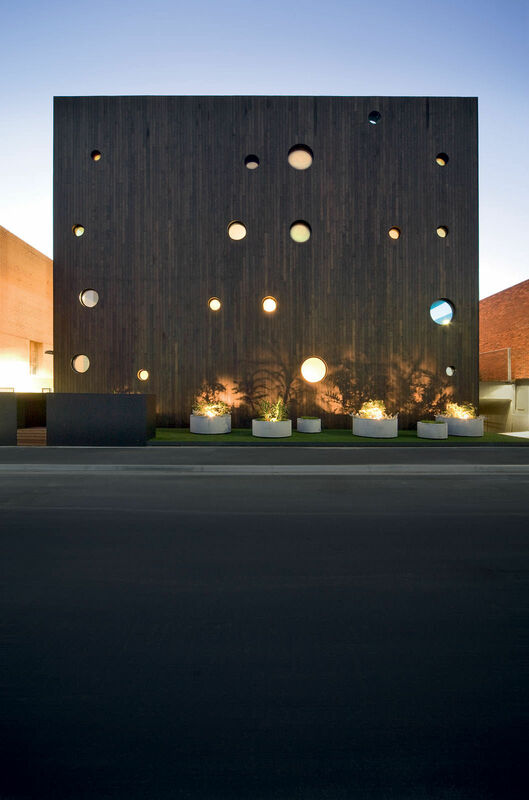 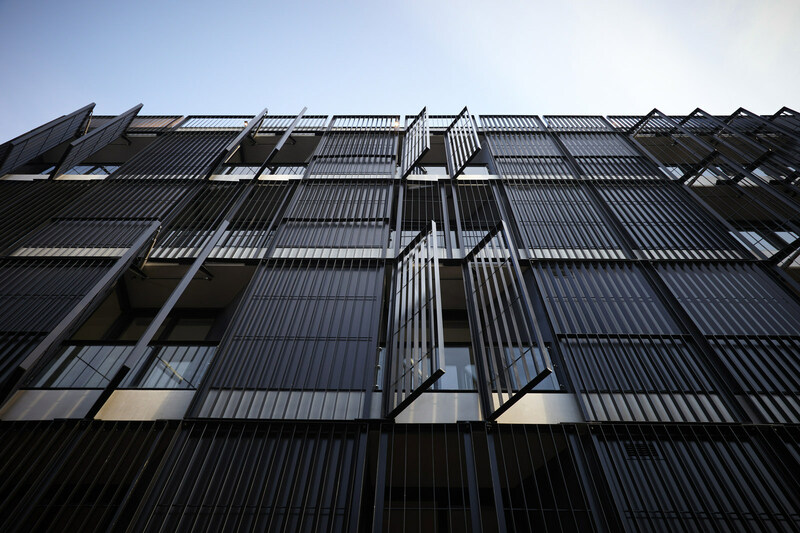 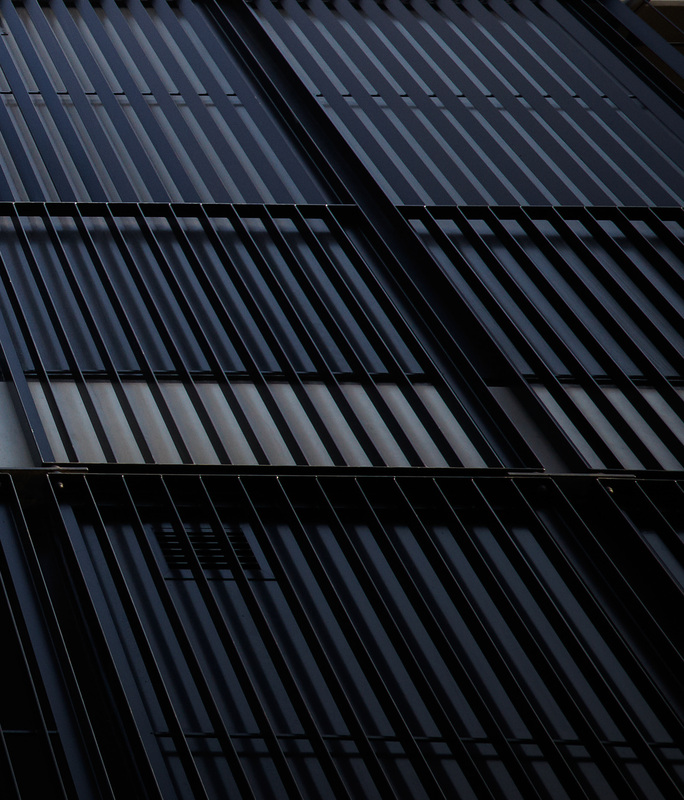 The rectilinear form of the building is wrapped in a veil of operable metal screens that provide solar protection and privacy control, while subtly referencing the surrounding heritage precinct and the prevalent wrought iron fences. 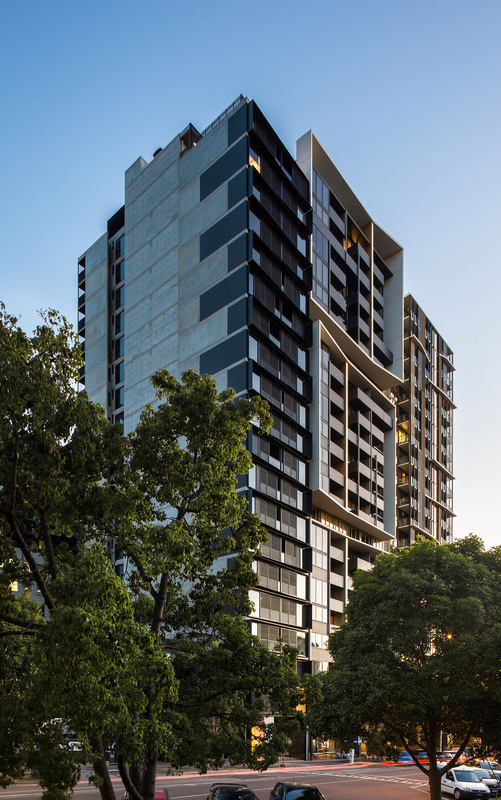 Sustainability is embedded into the building, through thermal massing, extensive cross flow ventilation, double glazing, double insulated concrete floors, solar hot water, rainwater harvesting that services all toilets and automated irrigation systems, photovoltaic solar power supporting common areas, operable shading and privacy screens and sustainably harvested timber. 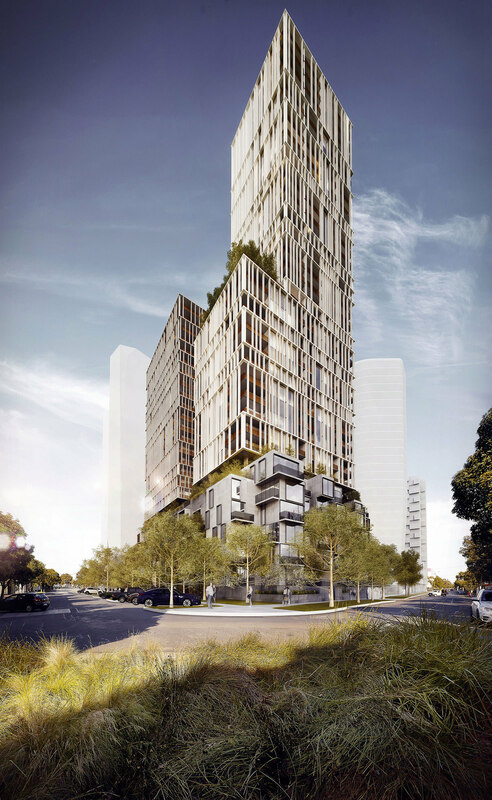 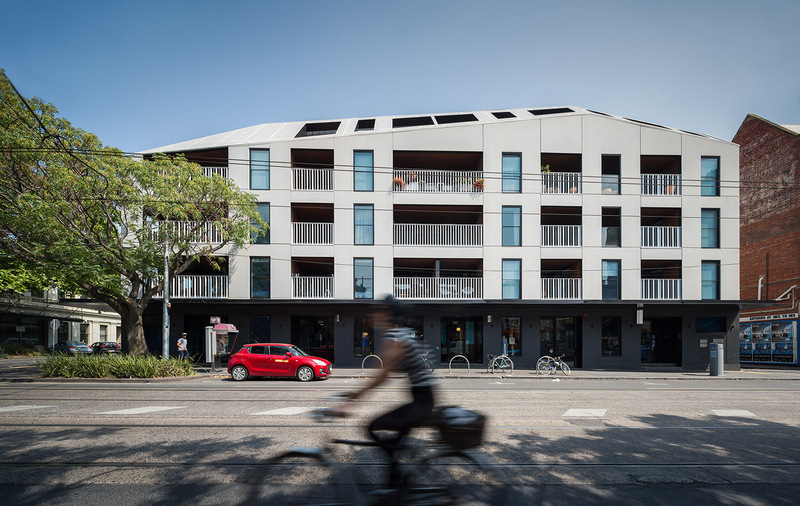 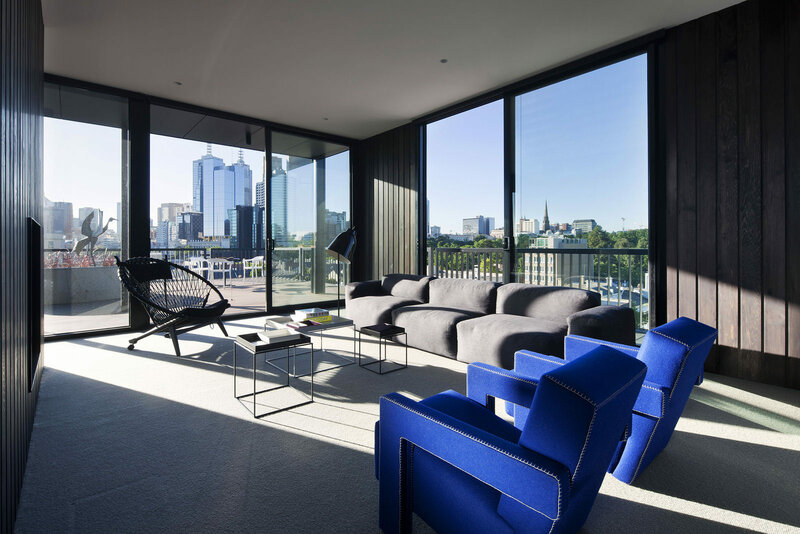 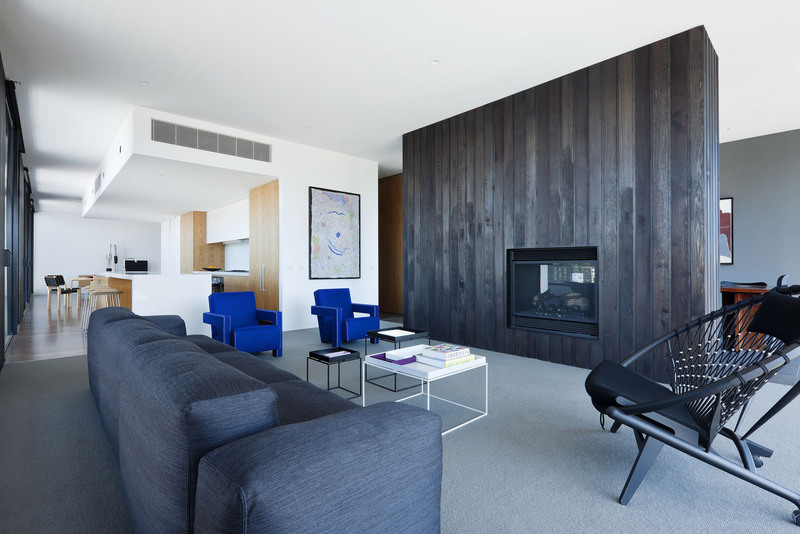 In responding creatively to significant planning and development controls Agnes Street Apartments demonstrate that there is a place for family friendly, generously scaled medium density apartments, even within well established inner urban residential neighbourhoods.